There's nothing worse than wanting to make some kind of treat and suddenly finding out that you don't have enough flour. Over the years, I've perfected the art of keeping a stocked pantry. It's super easy to do. It's something I picked up from my mom. Throughout the month I keep a list of things that I'm running low on. It's just a slip of paper on the side of the fridge. When I'm getting low on baking powder, for example, I write it on the list. If I find a recipe for some dessert I'm dying to try, but I don't have the ingredients, I write it on the list. 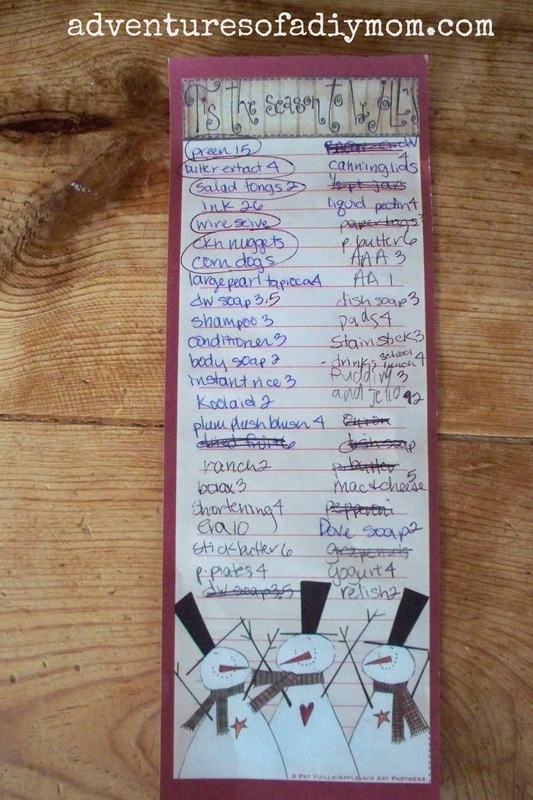 When the kids eat the second to last box of macaroni and cheese, we write it on the list. It's not just pantry and food items, it's also household items, like soaps and cleaners. When it's time to make my grocery list I have a start. Basically it's my reminder. And it works! 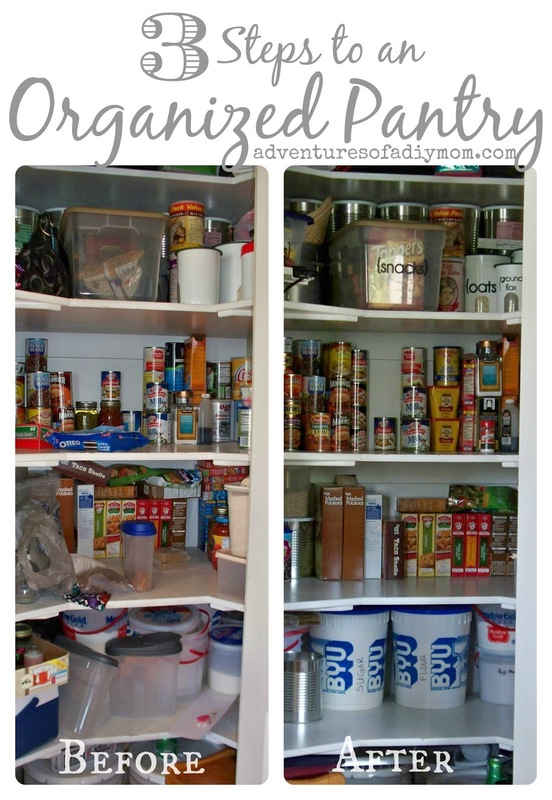 I almost never run out of the basic pantry items, and items we use often. Now, if you're just starting out, don't feel like you need a huge amount of ingredients. Just start with the basics. Then as you start figuring out what your family likes and eats often, include those items on your pantry list. Below, I've listed what I consider my basic "can't do without" pantry items. Below are some things I also like to keep on hand all the time. Tailor your list to your families needs and likes. For example, if you never make bread or rolls, there is no need for you to stock bread flour or yeast. Mixes - like gravy, taco, ranch, pudding etc. Non-Food items don't go in my pantry, but they are just as important to keep on hand. I like to keep at least one extra of these items, sometimes more - depending on how quickly we go through it. When I grab the last one from the shelf, then it gets written on the list. What have I missed? 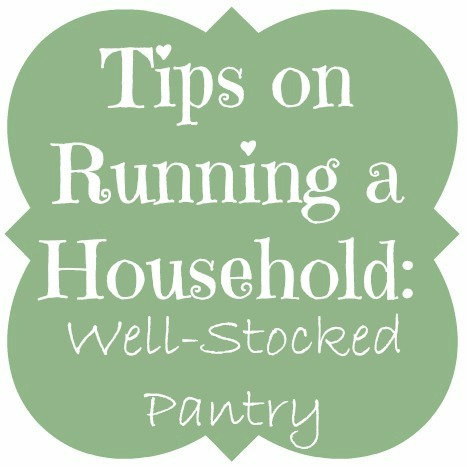 What are your "must-have" pantry items? I basically do the same thing and it does work well. However, I use a free app on my phone called Grocery IQ. As I'm shopping, I can check off items and they go into my "cart." Super easy to use. The best part is my husband's phone also syncs to my list so he always has the updated grocery list and can look to see what is needed when he is at the store which is actually more often than me!